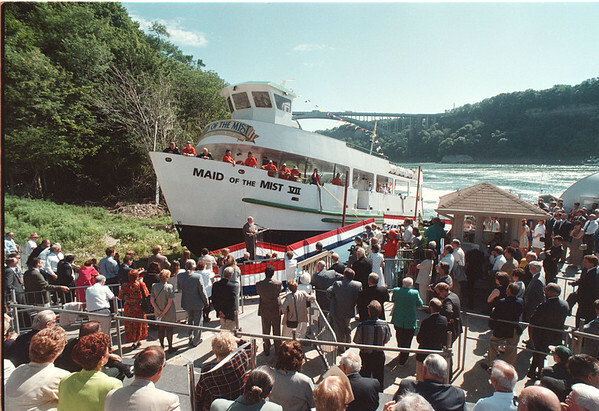 7/11/97 Maid Launch - James Neiss Photo - A good crowd turned out for the launching of the Maid of the Mist VII (Seven). James Glynn, President of the Maid of the Mist Steamboat Company. LTD. says a few words.